Five Finger Death Punch's Ivan Moody Helps Colorado's Homeless Youth - GENRE IS DEAD! Five Finger Death Punch frontman Ivan Moody is giving back to the community. He recently donated sleeping bags to a non-profit organization that helps homeless youth in Colorado. Fox 21 news reports that the rocker joined forces with local rock radio station 94.3 KILO to present 50 sleeping bags to Urban Peak Colorado Springs, which helps youth “exit homelessness and create self-determined, fulfilled lives.” Check out the Fox 21 News report below. This isn’t the only time Moody has given back. 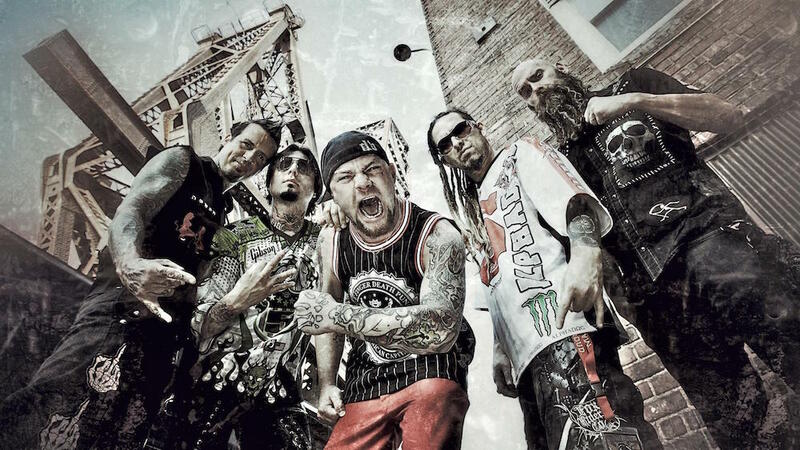 Over the summer, Five Finger Death Punch donated $95,000 from their tour to C.O.P.S. – Concerns of Police Survivors. Co-headliners Breaking Benjamin also donated $95,000 to Prevent Child Abuse America. Urban Peak Colorado Springs provides shelter, street outreach, and housing programs that help the homeless youth. In 2016, they supported 468 youths through street outreach, 146 were given shelter, and 46 were in their apartment programs. Learn more about the organization and donate here. Pingback:Drummer Jeremy Spencer leaves Five Finger Death Punch - GENRE IS DEAD!